How do you create a beautiful life? Are you too busy to think about it? What fills your soul? What do you love? What gives you peace? Do you have the life you imagined? For me it looks like… creating space, time and beautiful things that fill my soul, like…. having the time to talk with my children and not having an agenda… taking care of my sweet Aqua Man. (This mostly involves feeding him.) It is loving myself enough to take care of my body. It is riding my bike…playing with my horse. Filling my home with peace, simple luxuries and cozy things that make my people happy. It is growing my own vegetables. Writing. Being inspired and inspiring others. Going slow. Spending time with the people I adore. There are days when I stuff too much doing into the day and end up frazzled, exhausted and grumpy. And there are days when I cherish my favorite blanket, a perfect cup of coffee, flickering light of candles, snuggling with my dog and having time to be grateful. When do you feel love; what does it feel like? For me it feels, like "home." I love this post Alexis. I think I'll light some candles too and think about how to love my family a little better. 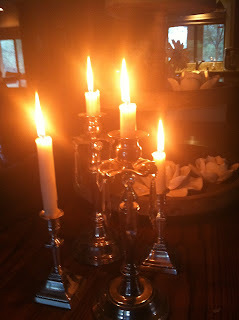 Nothing like candle light and beautiful music to bring rest to the soul. Great post. Great reminder. I'm realizing that less is more and family is everything. Alexis you are such an inspiration to me. I absolutely love you! Thanks for sharing your journey - fills me with hope. You have fought hard - enjoy the rest and the extravagance of his love poured out in you and your family - its all about relationships and you have certainly mastered the art of loving people and making them feel loved. I am in the middle of the this journey - discovering what is beautiful to me and how I love to love- and I cant wait to reach the place where you have come and found his rest.